Everyone looks forward to going on holiday and taking some time off from their hectic schedule to relax. However, a highly anticipated holiday can quickly turn into a nightmare when you get injured due to someone else’s negligence or fault. 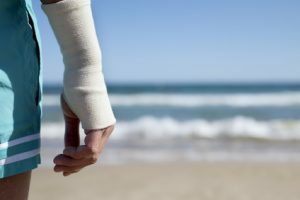 The actual cause of the injury may vary, but if it is caused due to somebody else’s fault, then you can and should consider your legal options and claim compensation for holiday injuries. Most holidays proceed smoothly and you get back home with lots of lovely memories. Unfortunately, things can and do go wrong sometimes. Take a look below at some of the most common holiday-related accidents and injuries and what steps you can take to stay safe until you get back home. Food poisoning and associated illnesses are among the major injuries that people encounter when on their holidays. This could happen when travelling to just about any destination, at home or abroad. Negligence on the part of the hotel staff by using out-of-date food for cooking. Food poisoning can cause diarrhea, dehydration, nausea, sickness, cramps, dizziness and fever among other issues and can completely ruin a holiday. While most of these issues are temporary and can be gone with a little care in just a day or two, some cases may be more severe and cause long-term problems like high blood pressure, irritable bowel syndrome, diabetes, and even kidney failure. These can have far-reaching implications and are very serious injuries which may be painful and affect your day-to-day living as well. If you have suffered food poisoning while on holiday and want to be compensated you should be doing all you can to strengthen your case while still on the holiday if possible. Complain immediately to your hotel and/ or travel company representative. Visit the doctor and seek medical advice – make sure to save any prescription receipts and any other expenditures. If unclean areas or visibly poor standards of hygiene are visible, get pictures or video evidence. You can also speak with other guests to discuss similar issues they might be facing and collect their information as well – others supporting your claim will go a long way towards strengthening your case. If you have already returned from your holiday, try to contact other members of your group anyway. You might come across someone who suffered the same fate and has evidence of the same. There are numerous cases of people falling by tripping over torn carpets, improperly constructed stairs, and irregular flooring while on holiday. If any injury is caused due to the negligence of the hotel or resort you are staying in, then you are can make a claim against them. The list of reasons for injuries on holiday can be long, ranging from rashes or infections due to ticks, termites, bedbugs, mould, or mildew in your hotel room, to physical injuries from broken furniture or debris from construction lying around in your vicinity, slipping due to a wet floor and many other possibilities. If you are lucky, you might escape with a small nick or bruise. However, sometimes things can go bad and cause more serious injuries like deep gashes, broken bones, bad sprains, muscle or ligament tears and internal injuries. If you are injured on holiday you should call a doctor immediately and get a written note plus a prescription for your injury, file a complaint with the hotel staff or tour guide and take pictures and videos of your injury if possible, along with the place where it happened. The more evidence you can produce, the simpler it will be to win your claim. Road accidents on holiday can be particularly depressing especially if you’re many miles from home. 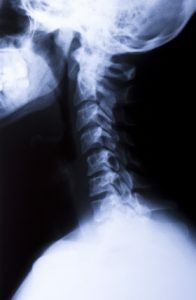 With injuries ranging from minor sprains to whiplash, fractures, and compression fractures to spine, head injuries and several far more serious conditions that can handicap a person for life the last thing anybody wants is to be injured in this way abroad, but it does happen. If you ever find yourself in a road accident on holiday, and you are safe and have received medical attention, you can follow certain steps to strengthen a compensation claim. First, collect the names addresses and phone numbers of witnesses to the accident. Next, try to take photographs of the scene. Thirdly, ensure that the police are called to the accident and your statement is taken. You should also immediately file a complaint if the driver flees or doesn’t have valid insurance. Injuries caused due to cabin depressurisation, crashes or emergency landings. These claims are usually fairly straightforward as you only need to prove that the accident occurred while you were flying. Since international accidents are governed by the Montreal Convention, the system for liabilities is quite strict. However, the claim has to be filed within 2 years from the date of the accident. If a package holiday was booked through a travel operator, you have additional rights as fines are also imposed on travel operators for negligence by their suppliers. British law applies to domestic flights within the UK and you can still claim compensation under these laws in cases of negligence. Cruise ship accidents can range from food poisoning, unsanitary conditions, falls due to slippery decks, injuries caused by obstacles, falling down the stairs of the ship or being struck by falling objects. Cruise ships are subject to the Athens Convention which means that the onus is on the cruise ship operators to prove that an accident involving you didn’t occur or that it was not their fault. If they cannot prove this, then you will have a good chance of winning your compensation claim. 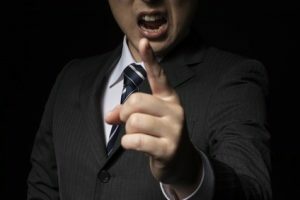 Many people find the thought of taking legal action unpalatable and prefer to treat their injuries as a ‘one-off’ incident that they would prefer to put behind them. That is a mistake. You have a legal right to claim compensation if you are injured due to somebody else’s fault while you are on holiday. Moreover, there are highly reputed personal injury solicitors who will help you get the compensation due to you without charging you any upfront fees. It is something that you should definitely look into.